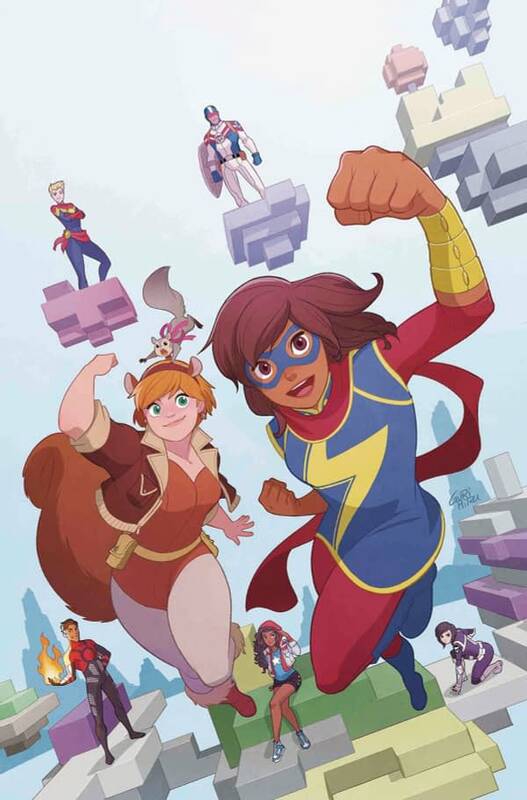 Marvel Rising: Alpha #1, the all-ages series from Marvel spinning out of the animated series was solicited with art by Marco Failla. Instead, it will now be drawn by Crossed‘s Georges Duarte. That is… quite a jump, from drawing one of the most revolting comic books ever publisher to an all-kids affair. Look for it on June 13th, along with a Father’s Day promotion. Here’s the new solicitation.